chandana banerjee: Find your Style Friday: Are you Spectacular? I’ve been a nerd since I was seven-years old - the only kid in the class who wore glasses. And in those days in India, in fact till a few years ago, wearing glasses wasn’t considered chic or fashionable. There had to be something abnormal about you if you had to take the help of orbs of glass to see well. "Maybe you were malnourished? Maybe, your mother was so busy tending to her career that she didn’t have time to slice up some salad for you? Maybe this was your disability? Maybe you had the wrong gene?" Hmmm…. So in the last 25 odd years of my career as a spectacle-wearer, you can bet your bottom dollar that I’ve heard it all. Yes, ALL. The taunts and teasing, the mean little comments and name-calling, the ludicrous and silly. The not-so-innocent questions and the based-on-no-proof conjectures. All of it about why I wore glasses or who I was because I wore them. (I wonder why it bothered people so much ;-)). People often forgot that I was a real person behind those frames, and chose to define me because of what was perched on my nose. I learnt to deal with it. I learnt to love my spectacle-wreathed self. I decided early on that there’s no stigma attached to wearing glasses. If at all, I and all those who wear glasses are spec-tacular! Funnily, today spectacles have become a trend, a cool accessory to adorn yourself with. Even those with perfect 6/6 vision pick up funky frames on a whim and wear them with panache to portray the uber geeky/intellectual look. Oh yes! Spectacles are in fashion today – who would have thought? Haha. And these Wayfarers are wickedly delicious. So I think. Spectacle frames are essentials + accessories for me, and while I don’t collect them like a maniac, I always have a couple of options at hand. And, I’d love to add this geeky baby to my stash. Retro with a totally intellectual vibe, this one’s as cool as they come. Do you love the Wayfarers? 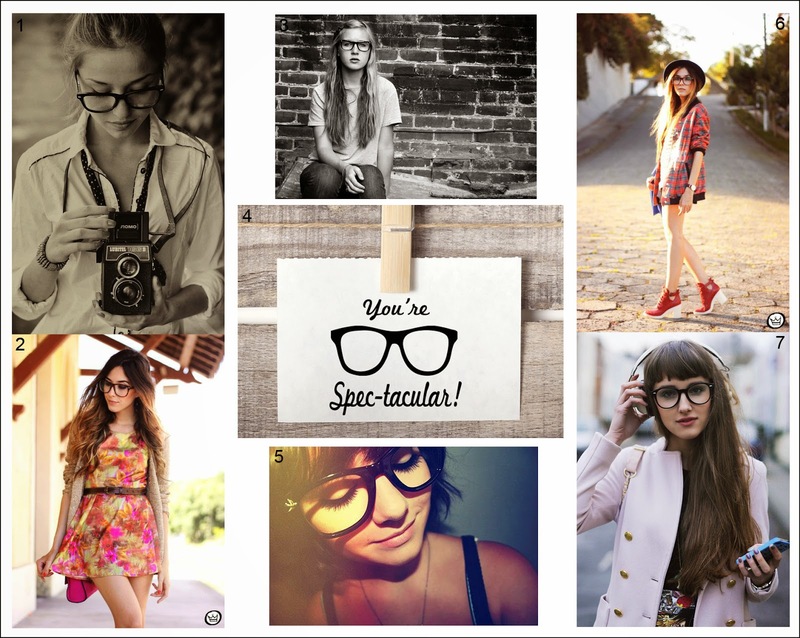 What do you like about being a spectacle-wearer?